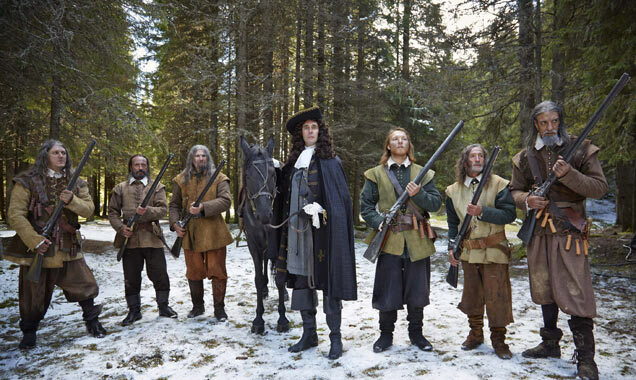 'New Worlds' Kicks Off Tonight: What Should We Expect? ‘New Worlds’ is Peter Flannery’s sequel to the excellent English Civil War drama 'The Devil’s Whore.' Set in the 1680s, the drama sees two young men and two young women – from different sides of the Atlantic - take on the powers that be in a fight against tyranny and for love. 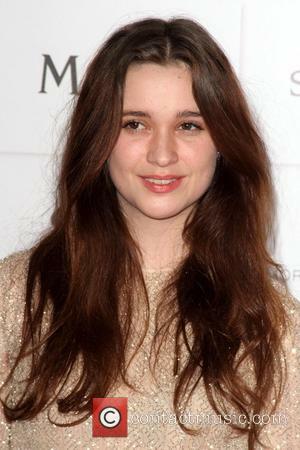 "It shows the beginning of the American dream," explains 19-year-old Alice Englert, one of the four young British talents starring in the Channel 4 drama. "What will be fascinating for UK audiences is looking at the beginning, how that dream was always going to be built on something quite… gross." Continue reading: 'New Worlds' Kicks Off Tonight: What Should We Expect? Claustrophobic and creepy, this experiment in contained horror has its moments as just three characters circle around each other. But the approach is almost infuriatingly vague, which eliminates any real suspense. Still, it's sharply well shot and played, with a moody atmosphere that builds a strong sense of uncertainty. And director Lovering is extremely adept at making us jump at something unexpected. It all kicks off when Tom (De Caestecker) invites Lucy (Englert) to attend a Northern Irish music festival with him. They've only been dating for a couple of weeks, and he's hoping this weekend clinches the deal, so he books a night in a romantic, isolated hotel. But on the way they are thoroughly unnerved by locals in a pub as they get lost on country lanes that, of course, are outside mobile phone and GPS coverage. There's also the problem that the hotel's signs are sending them in circles, and as night falls they wonder if they'll ever get there. All of which badly strains their new relationship. Then they run into a young guy (Leech) in the middle of the road. With only three actors in the cast, it helps that they're all experts at bringing out subtle layers of intensity in each scene. The film is a riot of stolen glances and verbal jabs. These are people who don't always react in the most helpful ways, and they even seem to surprise themselves with the self-centred things they do. But for Lovering this interaction doesn't seem to be enough, and he shifts the focus to the fact that there's something evil and menacing in the darkness and rain, abandoning the more interesting character tension for random violence. While this package has all of the key marketing elements to reach the Twilight audience, the film itself is rather a lot more fun, made with some wit and intelligence, plus a cast that's happy to chomp on the scenery. Based on a four-novel series, this film actually has more in common with True Blood than Twilight, with its Deep South setting and the clash between religious fundamentalism and supernatural beings. At the centre is Ethan (Ehrehreich), a 16-year-old who is bristling against the isolation of his small South Carolina town. His recently deceased mother instilled in him a love of books banned by the town's hyper-religious leaders, and the local librarian Amma (Davis) helps keep his interest alive. As a result, he's more open than the other teens when Lena (Englert) arrives at school. But she's shunned because her Uncle Macon (Irons) is the town's pariah, a landowner whom everyone thinks is a devil worshipper. Actually, the whole family are casters, people with special powers that are designated good or evil on their 16th birthday. The plot stirs up some suspense as Lena's big day of reckoning approaches. She's terrified that she'll go over to the dark side like her man-eating cousin (Rossum) or, worse still, her spectral mother, who does her mischief by inhabiting the body of the town's most pious housewife Mrs Lincoln (Thompson). This of course gives Thompson two insane characters to play at the same time, and she has a ball with it. As does Irons with the shadowy, snaky Macon. And at the centre, Ehrenreich and Englert both show considerable promise, with their strikingly non-Hollywood good looks and a depth of character that makes the film more engaging than we expect. Ginger and Rosa are teenage girls in the '60s and have vowed to always be the very best of friends. Together they skip school, do each other's hair and talk about everything from politics to the latest teen magazine articles. Both of them lead difficult home lives, with Rosa struggling without a father figure in her life and Ginger's mother tied to the four walls of their home while her activist father fights against the Cold War. Both are wishing to rebel against their dull lives in search of adventure and fulfilling their dreams. However, as the threat of a nuclear apocalypse draws near, the girls are divided by the paths they choose to take; Ginger wants to follow in her father's footsteps and protest against the bomb threat, determined to stay alive, while Rosa just wants to spend time with boys and live the life she has now rather than worry about the furture. Unfortunately, it's Ginger's father Roland that she takes an interest in which only looks to cause more problems. As Ginger seeks the help and guidance from two gay men (both named Mark) and an American poet named Bella, plenty of relationships look set to fall apart and the conflict closest to home becomes the biggest threat in their lives. 'Ginger and Rosa' is a coming-of-age drama about the opportunity ridden world of the sixties directed and written by Sally Potter ('The Man Who Cried', 'The Tango Lesson', 'Orlando'). The latest trailer for fantasy film Beautiful Creatures offers an insight into the narrative's tale of fate and how much of it can be controlled. The story focuses on a young witch - they use the term Caster - called Lena who feels self-conscious at all the attention she receives in the normal world for her magic powers. So what better thing to do than move to a small conservative town in the backwaters of America? They're sure to take to someone so different there. Here she meets someone she falls in love with, of course. And they're also a 'mortal' (one of us, basically) so you can be sure that won't go down too well with her fellow Casters. Watch the trailer for Beautiful Creatures. Lena Duchannes is a Caster whose family has plenty of dark power between them, but rather than feeling empowered, Lena just wishes she can be mortal so she wouldn't have to hide and people wouldn't talk about her all the time. When she moves to the small and somewhat conservative town of Gatlin, South Carolina, she finds herself an outcast but is soon noticed by her school mate Ethan Wate who is enchanted by her and the excitement her arrival brings to this ordinary, unmoving town. However, their relationship is compromised by the fact that Lena only has a matter of days left before she is subjected to the Claiming; a process that will decide whether she will turn to the Light or the Dark side of magic. While her uncle does everything in her power to make sure she is claimed to the Light, the all-powerful Sarafine is convinced that she will have great magical supremacy which would better be served in the Dark. 'Beautiful Creatures' is the story of just how much love can conquer and, equally, the devastation it brings. 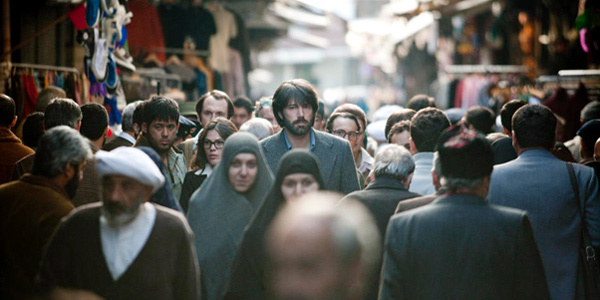 It has been adapted to screen by Oscar nominated director and screenwriter Richard LaGravenese ('P.S. I Love You', 'The Mirror Has Two Faces') from the book of the same name by Kami Garcia and Margaret Stohl. The fantasy romance will be released in time for Valentine's Day on February 13th 2013. Forget their billing as co-stars, there's only one star in town when Christina Hendricks makes an appearance on the red carpet, and Elle Fanning and Alice Englebert had to take a back seat to the 37 year-old as she grabbed the lion's share of the spotlight at a screening of Ginger & Rosa yesterday at the AFI FIlm Festival (November 7). Hendricks wore a sequined low-cut figure-hugging top that showed off her cleavage, matching it with an also-sequined headpiece. An extraordinary cast lifts this grim British drama into something watchable, even if the script ultimately gives up trying to make any sense. The main problem is that the story is very badly fragmented, but it still captures a vivid sense of how it felt to grow up in 1962 Britain. And the actors give performances that bring the characters to life even in scenes that are somewhat melodramatic. Ginger and Rosa (Fanning and Englert) are inseparable 16-year-olds who were born in the same hospital on the same day. As they both ponder the horrific possibilities of the Cold War, their reactions begin to diverge, perhaps their first disagreement ever. Ginger's parents (Hendricks and Nivola) are liberal-minded and about to separate yet again, so she takes a militant approach to stopping nuclear annihilation. Rosa lives with her deeply religious single mother (May) and believes that the only thing to do is pray about it. But the thing that drives a real wedge between the girls is Ginger's suspicion that her dad might be having an affair with Rosa. In the early scenes, Potter establishes the girls as imaginative friends with free spirits who do everything together. Then the plot begins to take increasingly dark twists and turns, leading to a series of awkward or downright horrible confrontations that are freaky and emotional but also thoroughly mawkish. There's a lot of glowering and weeping on display from everyone on-screen. Fortunately Fanning and newcomer Englert maintain a loose honesty in their performances that helps carry us through the difficult moments. And the starry supporting cast is terrific.